Do the So-Called Secret Gnostic Gospels Help Us Understand Jesus? 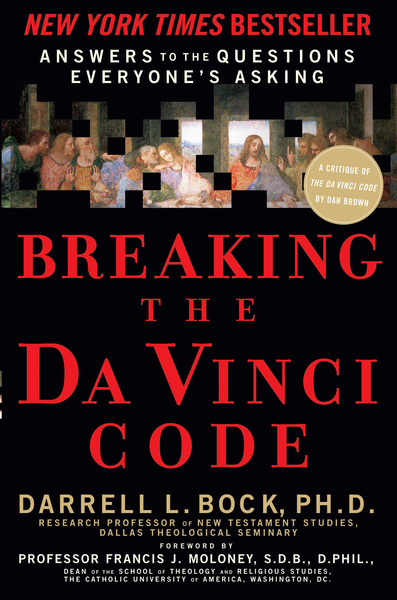 Darrell Bock's research uncovers the origins of these codes by focusing on the 325 years immediately following the birth of Christ, for the claims of The Da Vinci Code rise or fall on the basis of things emerging from this period. Breaking the Da Vinci Code, now available in trade paper, distinguishes fictitious entertainment from historical elements of the Christian faith. For by seeing these differences, one can break the Da Vinci code.